ASUS continues its series of ultrabooks of the Zenbook family, and joined its latest model ready for the Christmas season: ASUS Zenbook NX5000, which certainly highlights the 4K touchscreen which, all told, begins to glimpse as common in higher-end equipment. 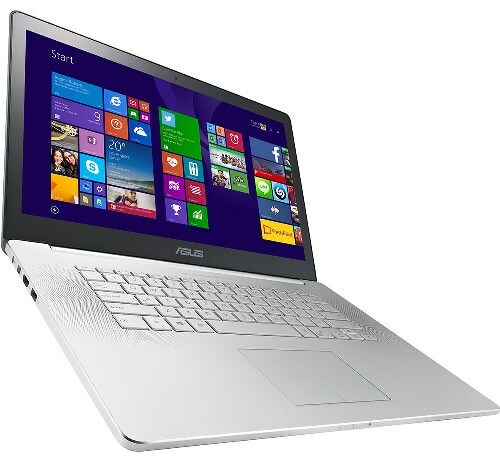 ASUS Zenbook NX500 comes with 15.6-inch format with 4K resolution, and sends the last canons of the features. It is Ultrabook which, although far from the thinnest, proposes a very demure weight and dimensions: 19 millimeter thick and 2.4 kilogram weight, along with high characteristics that position it as a really pointer equipment. The main protagonist of ASUS Zenbook NX500 is undoubtedly the display, repeating the formula of the recent Acer V Nitro Black Edition. ASUS even giving a name: VisualMaster, being a 15.6-inch touch panel, 4K resolution (282 dpi) with a long list of technologies and features to improve quality: 3M QDEF, viewing angle of 178 degrees and TruVivid technology. The display is touch (up 10 points) and is mounted on an aluminum one piece, brushed and gives it a very appealing. For its part, includes backlit keyboard that can be managed manually or through an ambient light sensor, automatically. Being a laptop looking thinness and lightness, ASUS ZenBook NX500 chooses a set of pointers components always at the limit of its possibilities. It would be utopian to think of superior a feature that is due to the requirements of existing space. To know: we will find a Intel Core i7-4702HQ processor in which the frequency of its four cores rises to 3.2 GHz; configurations of 4 or 8GB RAM and a NVidia GTX 850M graphics card, perhaps necessary to efficiently move content in 4K. However, the most attractive is the storage based on SSD, where we will find ourselves with a model with a 512 GB drive and the possibility of extending it to a RAID 0 with two SSD for approaching 1000 MB/s transfer. This feature WiFi 802.11ac, two video outputs (HDMI and a mini DisplayPort) and audio signed by SonicMaster technology from Bang & Olufsen, all in a body that in view of the official images have a very good look. Finally, the indicated battery is 96WH and ASUS does not specify an estimated duration. In view of the characteristics most likely not be ‘all time’ device, perhaps offering an intermediate data that could be among the four or five hours of battery life. ASUS Zenbook NX500 Ultrabook is designed for those users who looking for a robust and powerful computer, regardless of the economic cost. The price is 2799 euros, positioning as well as a laptop among the most expensive on the market.